Heartbreak and hope are at the center of Cynthia A. Graham’s novel, BETWEEN THE LIES (BlackSlatePress). 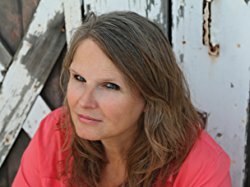 When the corrupt sheriff of Broken Creek, Arkansas detains a young black boy on charges of accidental homicide, his sister asks Hick Blackburn, Sheriff of Cherokee Crossing, to investigate. Hick is reluctant at first. Not only is Broken Creek out of his jurisdiction, but Hick and Sheriff Brewster have a history, and Hick knows Brewster won’t look kindly on his interference. With the aid of a New York attorney trying to make a name for herself and a shy new deputy who knows the boy’s family, Hick uncovers a conspiracy that goes to the heart of local corruption, nepotism, and racism. But while Hick is working to free an innocent child in Broken Creek, his beloved Maggie, pregnant with their third child, faces challenges of her own back home. This time, will Hick’s dedication to justice extract too high a price? Thanks to TLC Book Tours and BlackSlatePress, we have a copy to giveaway. Just tell us which novel you’ve read recently and warmed your heart. We’ll announce a winner soon. Good luck. I am rereading the Little House Series!! Haven’t really read one of those lately. Need suggestions please! I could use one of those, actually. The crooked path by Irma Joubert. haven’t read one lately. been catching up on romance books on my list. I just finished an ARC of Kristan Higgins’ latest Good Luck with That. Talk about warm your heart. 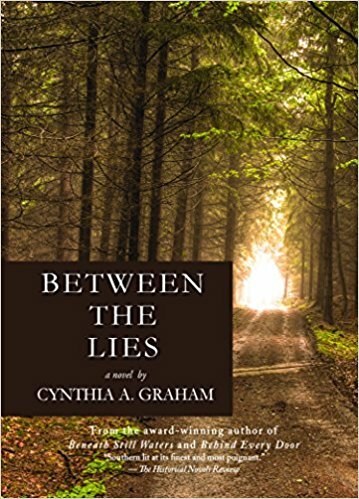 Between the Lies sounds like a good story. Thanks for the chance to win. The Secret to Southern Charm by Kristy Woodson Harvey. Thank you so much for a chance. The Sound of Glass by Karen White was a very heartwarming story. The Summer of New Beginnings by Bette Lee Crosby was heart warming. Minding the Light by Suzanne Woods Fisher was a sweet book!